When travelers first think of a trip to Europe, it’s the large cities such as Rome, Paris, and London that are usually at the top of their wish list to see. But for many who have been to the Old World, it’s the time spent in the smaller villages that they remember most fondly. Villages are intimate places … easy to explore and ripe with opportunities to mingle with the locals. The Alps dominate the landscape in this winter sports village. The mountains are so close it seems as if you can reach out and touch them. Hiking is naturally a popular activity in Innsbruck and it’s just a short stroll across the Inn River to the foot of the Alps. The Winter Olympics were held here in 1964 and 1976 and a ride to the top of the Ski Jump Tower offers a breathtaking panorama. Innsbruck was the seat of royalty beginning in the late 1400s and that is reflected in the architecture of its many beautiful landmarks. The most notable is the “Golden Roof” balcony in the village’s quaint historic section, built by the Holy Roman Emperor Maximilian I for viewing festivals and other events in the square below. The roof of the balcony consists of over 2000 golden tiles. 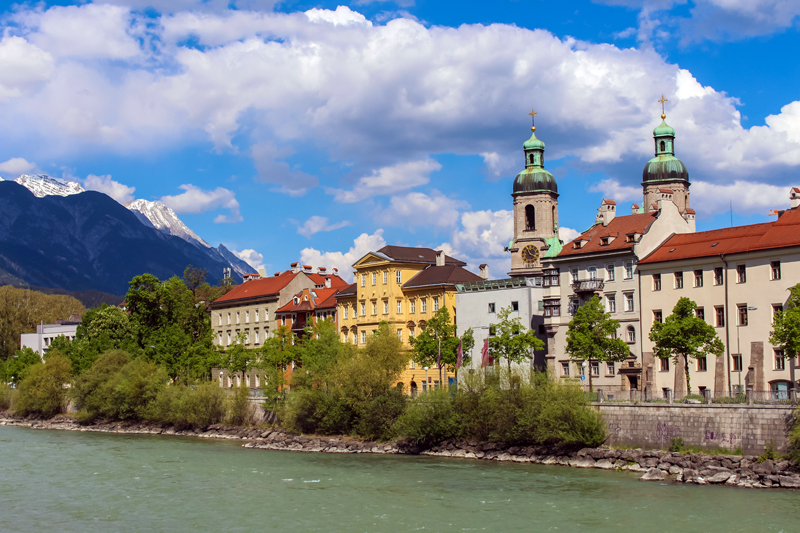 Whether it’s for natural wonders or man-made beauty, Innsbruck is always a traveler favorite. Made famous as the backdrop for Shakespeare’s ‘Romeo & Juliet’, this medieval village sits in northern Italy to the west of Venice. Although the lead characters in the tragedy are fictional, there is a 14th century residence that claims to be the home of Juliet, complete with a stone balcony where eternal love was declared. A bronze statue of Juliet rests in the court yard and touching it is said to bring you luck in finding your true love. 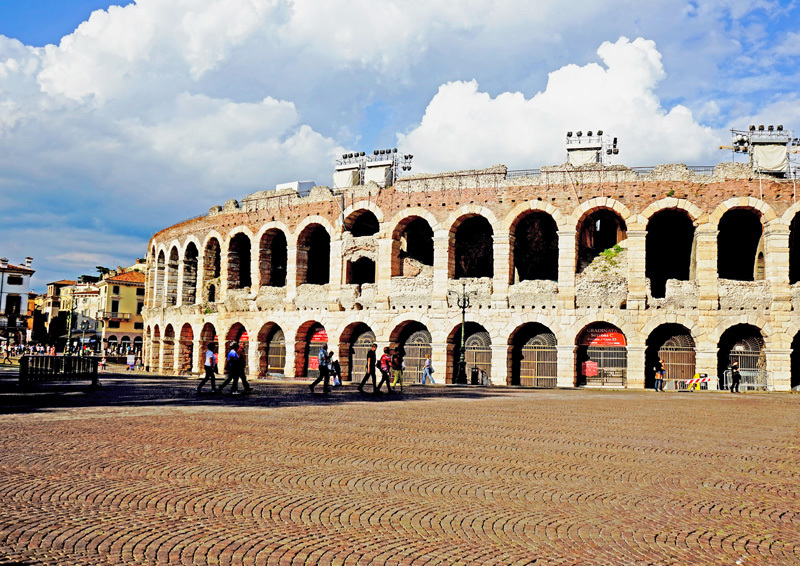 The most impressive landmark in Verona is its first-century Roman arena. The architecture is similar to the Colosseum in Rome and originally this outdoor venue held 30,000 people. The arena is still used today for opera performances and in recent years for rock and pop concerts. Much of the seating inside has been modernized, but some of the ancient stone seating is still used for events. To visit Riva is to experience a slice of Italian heaven. Riva is an historic resort village that sits on the northern end of Lake Garda, Italy’s largest lake. The panoramic views as you approach the lake are some of the most stunning in all of Europe. Garda is a long and narrow lake formed by glaciers and the sight of the mountains rising out of its turquoise-colored water creates a dramatic sense of awe. The pedestrian areas along the harbored waterfront are lovely to stroll and gelato (ice cream) shops beckon when you need a rest. There is also a beach and park for relaxing. The “Torre Apponale” bell tower, old city gates, and narrow meandering streets attest to Riva’s medieval history. You may also detect some Austrian influence in the architecture as the village belonged to the Austro-Hungarian Empire until 1918 at the end of World War I. Other resorts in Italy may get more buzz, but it would be difficult to find a more picturesque setting than Riva del Garda. 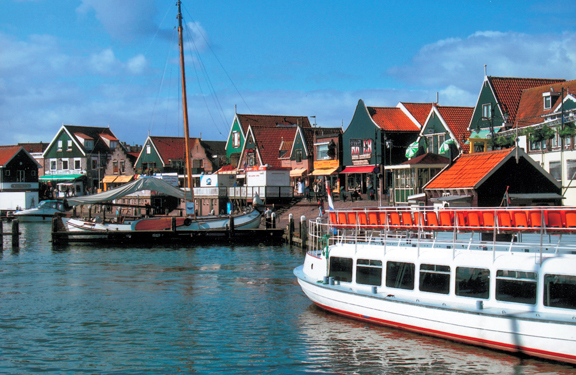 Volendam is a small fishing village offering a large sampling of Dutch culture. Here, you can still see locals dressed in traditional clothing from head (lace for the ladies and fisherman caps for the men) to toe (wooden shoes). Walking along the tiny harbor, you can see an amusing variety of boats on the water. If you continue along the harbor street, you may find yourself walking between two rows of small homes where neighbors compete for the tidiest entrance and window displays. Along the water, there are shops that sell the pretty blue and white Delft pottery as well as many other souvenirs. There is also a cheese shop where you can watch a video on how the cheese is made. Friendly cafés invite you in for coffee and Dutch apple pie, while street vendors offer delicacies from the sea such as smoked paling (eel) and raw herring. Also be sure to try Dutch pancakes or poffertjes (mini pancakes). Walking into this Bavarian village is like stepping into a fairy tale. With its timbered houses, narrow cobblestone streets, and wall surrounding the town, Rothenburg’s medieval atmosphere will make you feel as if you’ve traveled back in time. This charming village of just over 11,000 people is situated on the Romantic Road in the south central part of Germany. There’s so much to explore here. Climb to the top of the town hall bell tower for a bird’s eye view of the village or stroll the foot path atop the village wall. For a refreshment, stop by a bakery to sample some strudel or sip apple cider from a street vendor in the town square. As you might imagine, there are many interesting shops to check out such as Käthe Wohlfahrt’s Weihnachtsdorf, a sprawling, year-round Christmas shop. There are also several unusual museums including a Medieval Crime Museum, History Museum with Town Dungeon, and Doll and Toy Museum. 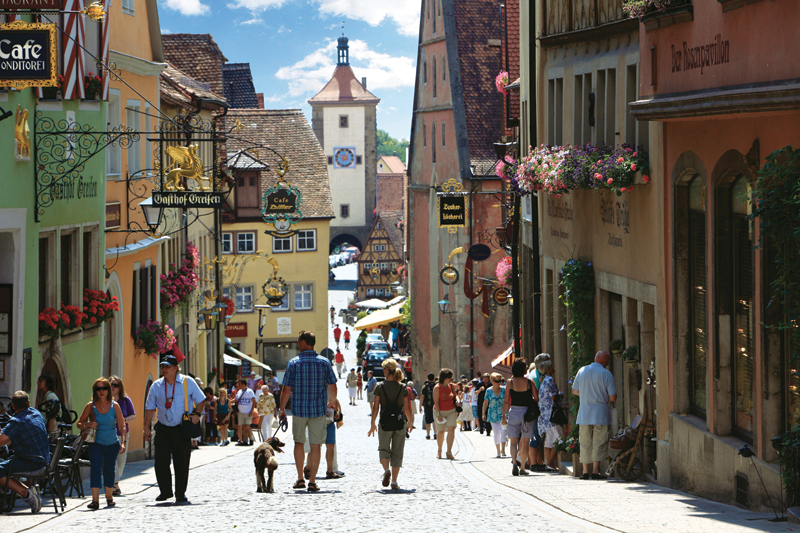 You’re certain to find the village of Rothenburg a magical place with a little something for everyone! If this is the year you want to start looking at a trip to Europe, request our FREE 84-page Europe Tour brochure today.